These Modern lounge chairs are fabulous. 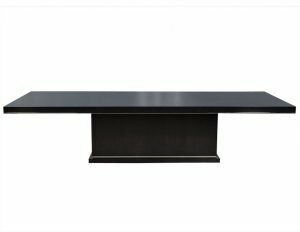 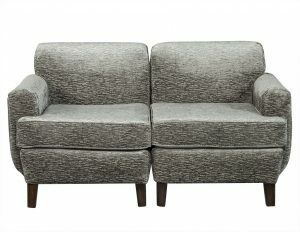 One has a left arm, the other has a right, and each sits atop espresso colored wooden legs. 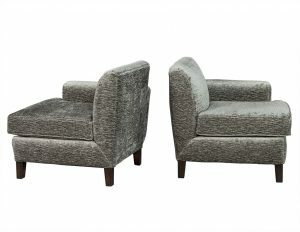 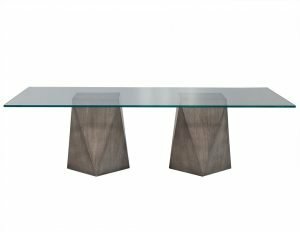 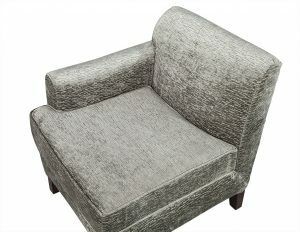 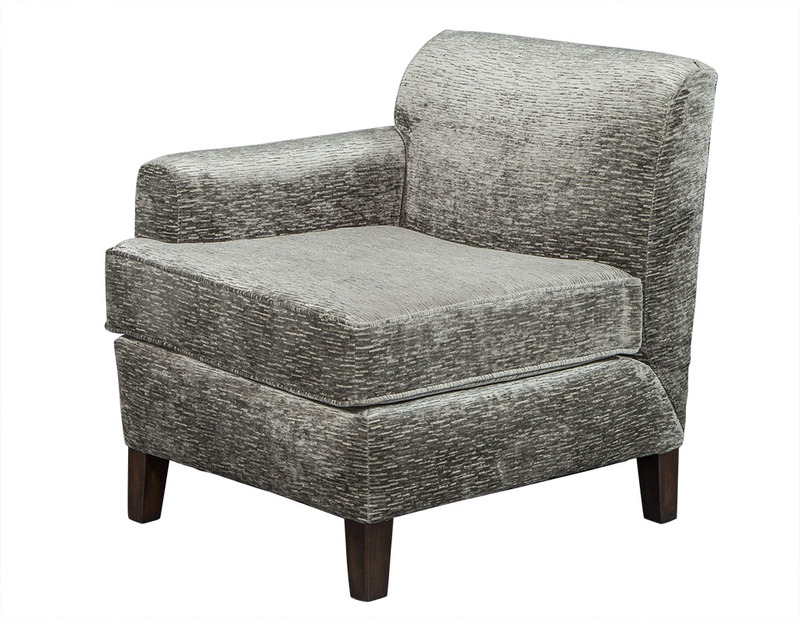 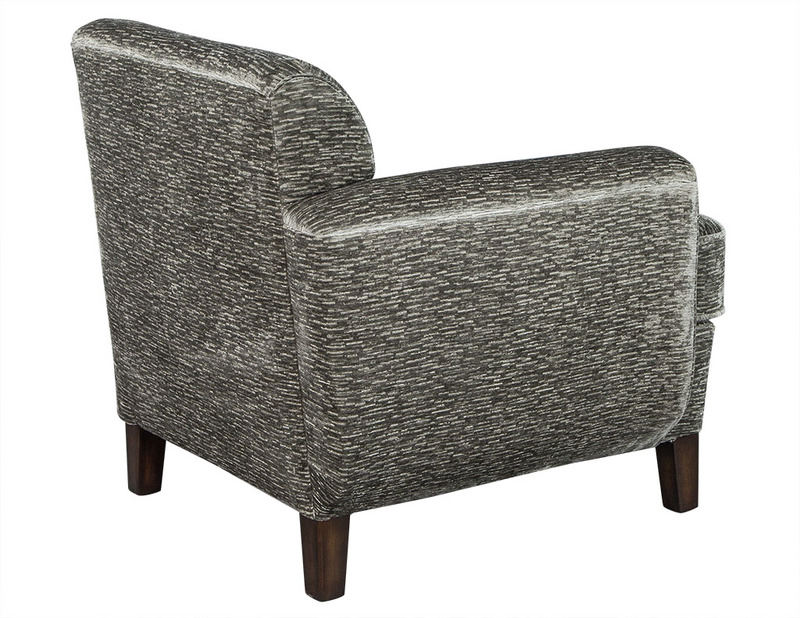 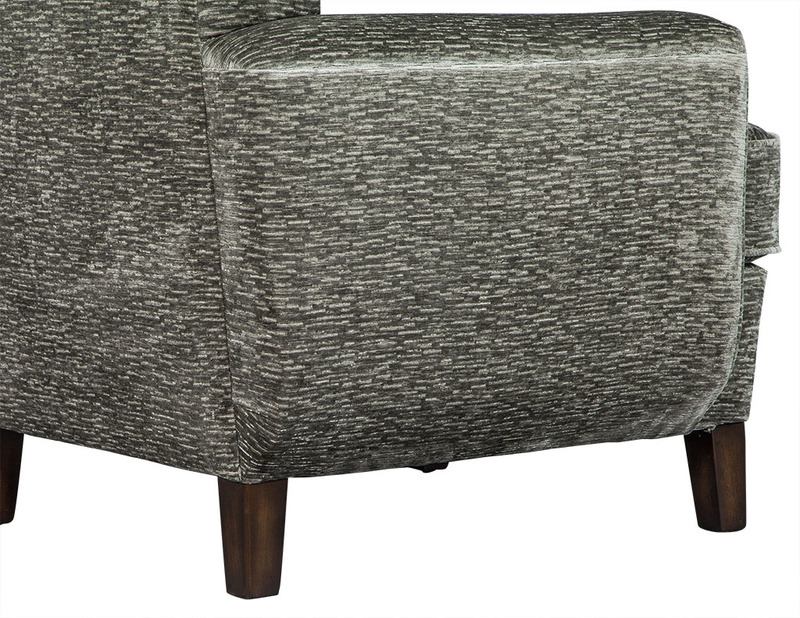 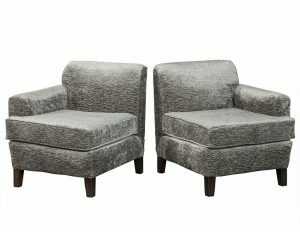 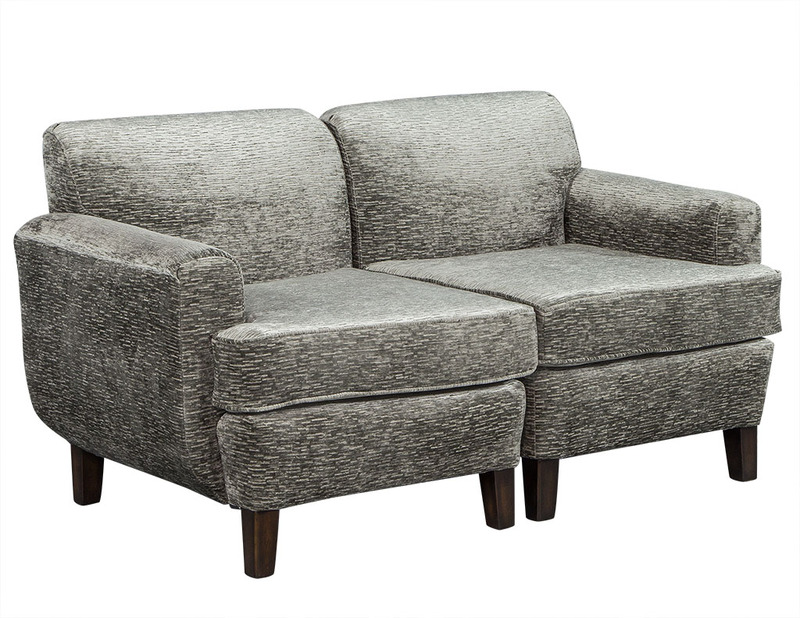 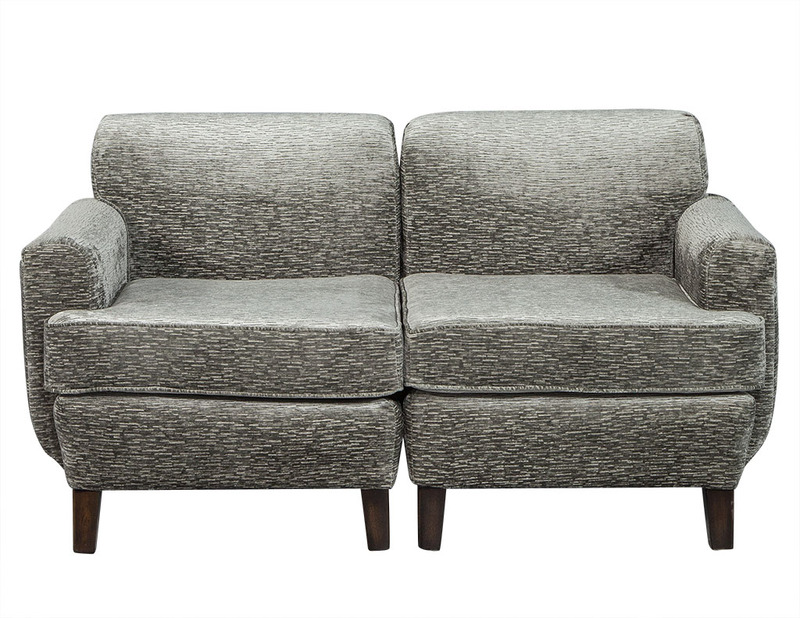 Both are newly upholstered in a gorgeous, plush grey fabric making them perfect for a comfortable home.